Although people rightly regard the Belarusian political regime as authoritarian, several independent think tanks function in the country. In this article, Belarus Digest identifies some of the main players, drawing on data from the Belarus Policy database and a ranking prepared by the Belarusian Research Council in 2016. Belarusian independent think tanks mostly specialise in economics, international relations, security, public administration, or education reforms. Very few attempts have been made to measure the performance of Belarusian think tanks. According to estimates by the Belarusian Research Council in 2016, BEROC, BISS, CASE Belarus, and the Ostrogorski Centre possess the highest organisational potential and widest information outreach. Despite their ostensibly limited influence on the state apparatus, Belarusian independent think tanks generate ideas, some of which actually do influence policy-making. In 2016, the Belarus Research Council ranked Belarusian independent think tanks according to their organisational potential, information outreach, and research activities. In terms of organisational potential, the Belarusian Institute of Strategic Studies (BISS), CASE-Belarus, and the Belarusian Research and Outreach Centre (BEROC) occupied the top three places. The Minsk-based BISS (Belarusian Institute for Strategic Studies) conducts research in four target areas: human capital, social contract, modernisation and institutional change. Moreover, BISS works in the area of international relations, focusing its work in three directions: Belarus as a part of Eurasian integration, the Belarus-EU relationship, and Belarus’s relationship with developing nations. The research database Belaruspolicy.com contains 50 research papers prepared by BISS experts from 2009 to 2018. The BISS experts researched issues of the social contract between the state and various groups of Belarusian society, Belarus’s isolation in Europe, and improving Belarusian competitiveness on a world stage. 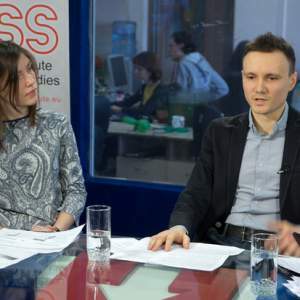 The BISS experts paid particular attention to the Belarusian national identity and Belarusian migration. The most popular research papers included the analysis of Belarusian views on immigration by Alexei Pikulik and the analysis of migration between Belarus and the EU by Andrei Yeliseyeu. The Warsaw-based CASE Belarus (Center for Social and Economic Research Belarus) conducts broad socio-economic analysis and sectoral studies, providing data and policy recommendations. 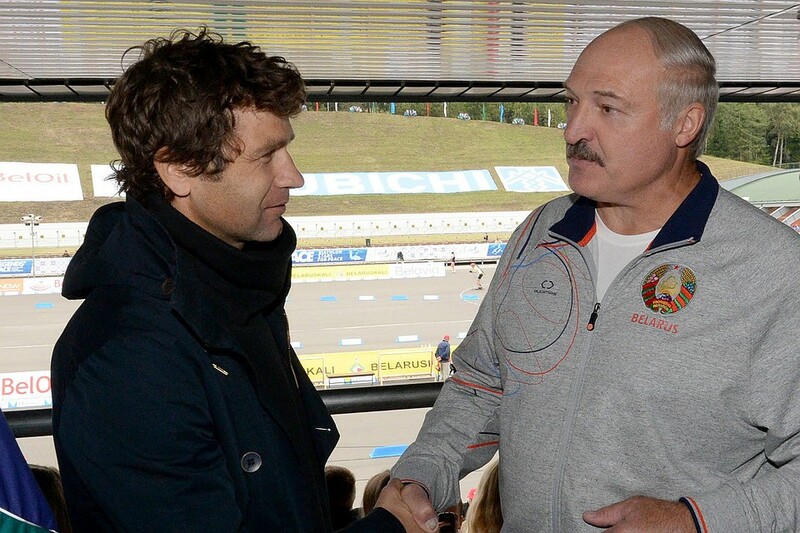 Helping Belarus to avoid the mistakes of other post-socialist countries remains the key mission of CASE Belarus. 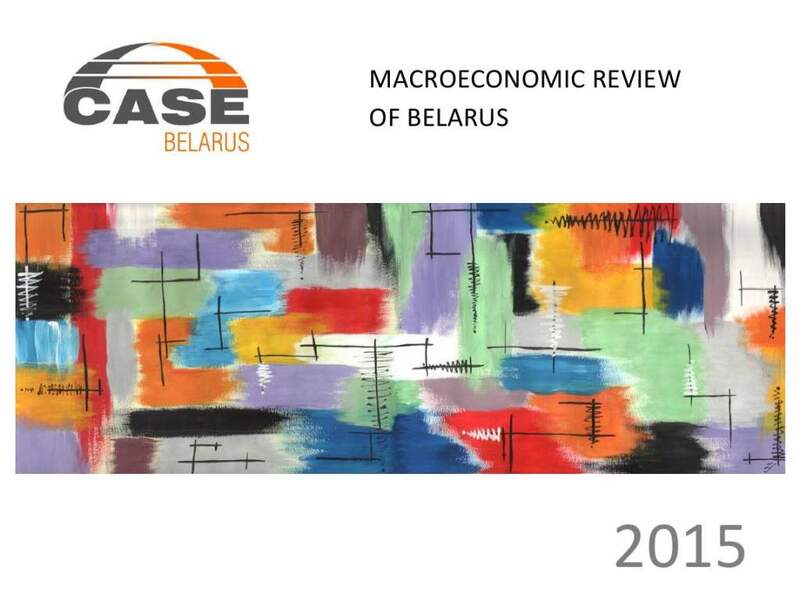 Belaruspolicy.com contains 31 papers prepared by CASE Belarus experts from 2011 to 2018. The experts research covers the structural crisis of the Belarusian economy, the performance of Belarusian industries, and the potential for the development of market institutions in Belarus. Socio-economic problems also receive significant attention, in particular, environmental problems, poverty belts, the use of labour in the prison system, and reducing the role of orphanages. The most popular research papers included an analysis of the unrealised potential of Belarus-EU economic cooperation edited by Dzmitry Babicki and a diagnosis of “poverty belt” in Belarus by Aliaksandr Radyna. The Minsk-based BEROC (Belarusian Economic Research and Outreach Centre) features among the leading economic academic think tanks in Belarus. The Centre started its work in 2008 as a joint project of the Stockholm Institute of Transition Economics (SITE) and the Economics Education and Research Consortium (EERC). Belaruspolicy.com contains 82 papers prepared by BEROC’s experts from 2010 to 2018. The experts’ research encompasses foreign investments, inflation, macroeconomic trends, tax amnesties, liquidity and monetary policy in Belarus. Moreover, BEROC paid particular attention to the dollarisation of the Belarusian economy, the Belarusian pension system, and the role of private sector in Belarus. Among the most popular of BEROC’s papers – an analysis of self-employment in Belarus by Mariya Akulova and a study of depressed regions in Belarus by Aleh Mazol. In terms of information outreach, the Belarusian Centre for European Studies, SYMPA/BIPART, the Ostrogorski Centre, and Liberal Club hold the leading positions. The Minsk-based Belarusian Centre for European Studies promotes closer relations between Belarus and the European Union and positions itself as an expert base for the European movement in Belarus. Apart from its research activities, the Centre administers an educational platform (ECLAB) and a discussion club “European Café”. SYMPA (The School of Young Managers in Public Administration)/BIPART (Belarusian Institute for Public Administration Reform and Transformation) conduct educational projects in the field of public administration and conduct research activities. Over recent years, BIPART’s experts have researched public procurement, e-government, and public-private partnerships in Belarus. The Ostrogorski Centre analyses the problems Belarus faces in its transition to a market economy and the rule of law. The Centre researches transition processes in Belarus and provides policy solutions, often based on the best practices of other countries. In addition, the Ostrogorski Centre regularly holds conferences on Belarusian education reforms and security issues. Since 2013, the Ostrogorski Centre has prepared 12 research papers on education reforms, national security and foreign policy. The most popular papers include “Who rules Belarus” by Siarhei Bohdan and “Belarus-Russia Relations after the Ukraine Conflict” by Ryhor Astapenia and Dzmitry Balkuniec. The Minsk-based Liberal Club focuses on research and dissemination of liberal paradigm in the context of the Belarusian socio-political, economic and cultural realities. Belarusprofile.com contains 14 papers written by the Liberal Club’s experts from 2010 to 2018. The experts have calculated an index of economic adequacy of Belarus, proposed ways to stimulate corporate social responsibility, and analysed Belarus’s relations with the EU and Russia in the discourse of print media. In terms of analytical and research activities, BEROC, NMNE, and IPM Research Centre occupied the first three places. NMNE (or the expert community “Nashe Mnenie”) has provided daily analytics of Belarusian politics, economy, governance, society, cultural and gender policies since 2003. The Minsk-based IPM Research Centre (The Research Center of the Institute for Privatisation and Management) has monitored and forecast the economic situation in Belarus since 1999. The most popular research papers by IPM’s experts on Belaruspolicy.com included corruption studies on Belarusian SMEs, an analysis of Belarusian SMEs development, and the prospects of Belarusian business developments in 2017. Cooperation between independent think tanks and the state? From time to time Belarusian independent think tanks conduct joint events with representatives of the state. Originally started as a joint initiative of the Liberal Club and the Ostrogoski Centre, and now run by the Liberal Club “Minsk Dialogue” has become a platform for the exchange of ideas on issues of foreign policy. On 23-25 May, the “Minsk Dialogue” expert community arranged an international forum, “Eastern Europe: in search for security for all”, with President Alexander Lukashenka and Foreign Minister Uladzimir Makei among the speakers. One of BEROC’s flagship events is the annual KEF conference which attracts top economists from the Belarusian government, such as the former first deputy prime minister Vasil Maciusheuski and top advisors from the National Bank of Belarus. The Ostrogorski Forum organises events in the area of education, attracting heads of faculties of Belarusian universities and high-level officials from the Ministry of Education. In most cases, however, independent think tanks exert only very limited influence on Belarusian state policies. Government officials generally view think tanks with suspicion as many of them have to survive on funding from the West. The restrictive legal and political framework prevents think tanks from engaging properly with Belarusian businesses, apply for meaningful state funding or conduct large-scale joint projects with the government, particularly in areas viewed as politically sensitive.